We will be showing The Audience live from the National Theatre, London on Thursday 13th June. Both the live screening and encore on Saturday 15th June are now sold out. 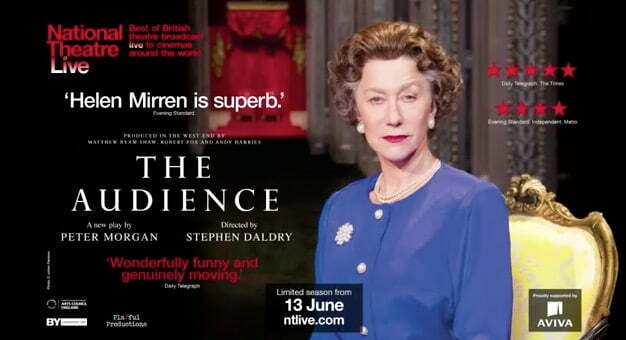 Helen Mirren reprises her Academy Award winning role as Queen Elizabeth II in the highly-anticipated West End production of The Audience, broadcast as part of National Theatre Live. The Audience reunites writer Peter Morgan and Academy Award-winning actress Helen Mirren following their collaboration on the critically-acclaimed movie sensation The Queen. The Audience is directed by Academy Award-nominated director Stephen Daldry (Billy Elliot, The Hours) and presented in the West End by Matthew Byam Shaw for Playful Productions, Robert Fox and Andy Harries. This House cast members, including Charles Edwards, Reece Dinsdale and Vincent Franklin, describe how it feels to be part of such a large ensemble cast, and which of the events depicted in the play they found the most surprising. This House writer James Graham will be answering your questions live on Twitter on Friday 17 May at 1pm (BST). Ask your question using #AskJamesGraham and follow @ntlive. You can also leave your question as a comment on the National Theatre Live Facebook page. We will be showing This House live from the National Theatre, London on Thursday 16th May at 7.00pm. Please arrive at 6.30pm to register and to order interval drinks if you wish. The performance is approximately 2hrs 45min including interval. Please note that the live broadcast on the 16th May has now sold out but there are still a few tickets remaining for the encore screening on Saturday 18th May. Email to book. 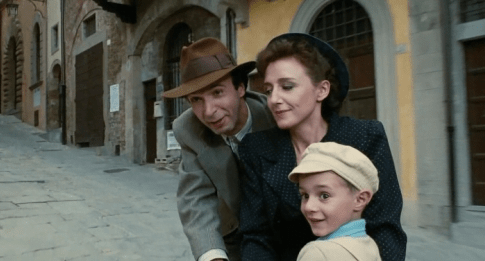 Set in 1930s Italy, Guido, a carefree Jewish bookshop owner leads a fairy tale life, having courted and married a woman from a nearby city – all is well and they live happily together with their young son until the onset of the German occupation. In an attempt to hold his family together and help his son survive the horrors of a concentration camp, Guido imagines the holocaust is a game and that the grand prize for winning is a tank. Daniele Abbado’s production is set in the second half of the 20th century and makes imaginative use of large-scale video projections to accompany and reflect the action on stage. An enormous chorus lends weight to epic numbers such as ‘Immenso Jehova’ – the Hebrew Slaves’ triumphant hymn of thanksgiving – and their song of exile, ‘Va, pensiero’, which is considered by many to be Italy’s unofficial national anthem. 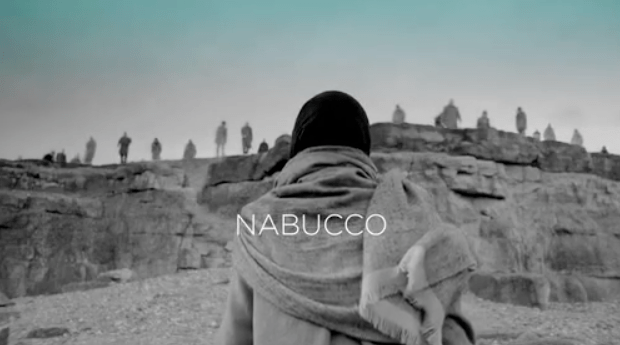 There are wonderful bass and baritone roles in the figures of Nabucco, the Babylonian King (based on the biblical King Nebuchadnezzar) and Zaccaria, the Hebrew prophet. And in Abigaille, Verdi created a memorable anti-heroine, at once terrifying and pitiable. Throughout, the score blends rhythmic vitality and powerful drama and is on a scale that does justice to the opera’s epic themes. Tickets £12 (£10 concessions) available from or by calling Jacqueline Teeney on 01298 872993.